As expected from Aronofsky, this is not your typical psychological horror/home invasion thriller, but it’s startling how allegorical it is. While I figured at first that it’s an allegory for the relationship between the artist and his muse, the filmmaker is probing at something deeper here. Simply put, it’s a Biblical allegory that chooses to focus on a relationship between God and Mother Nature, and if you’re familiar with the Judeo-Christian faith, picking out the numerous easter eggs and symbols makes for a mentally stimulating experience. This is very much a spiritual companion piece to Aronofsky’s previous effort Noah, as they share similar subject matter and themes like environmentalism and the nature of God. That said, if you weren’t a fan of that picture, you probably won’t like this one (the fact that it’s meeting such a polarized response from audiences doesn’t surprise me). What’s more, the proceedings here go off the rails in ways that defy description and sense, and more often than not I found myself wondering why the characters act in such an inexplicable or odd manner. 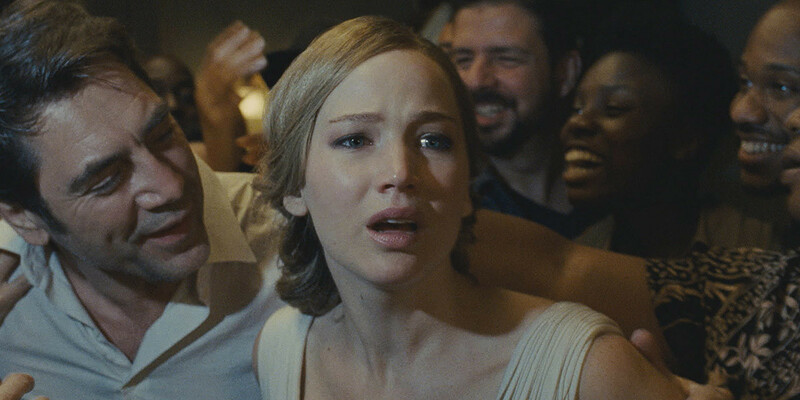 The film does reach a point where it seems like Aronofsky is telling two completely separate stories, and that disconnect can’t help but feel a bit vexing. As the title suggests, this is very much the Jennifer Lawrence show from beginning to end, with the other cast members here to elicit responses from her. 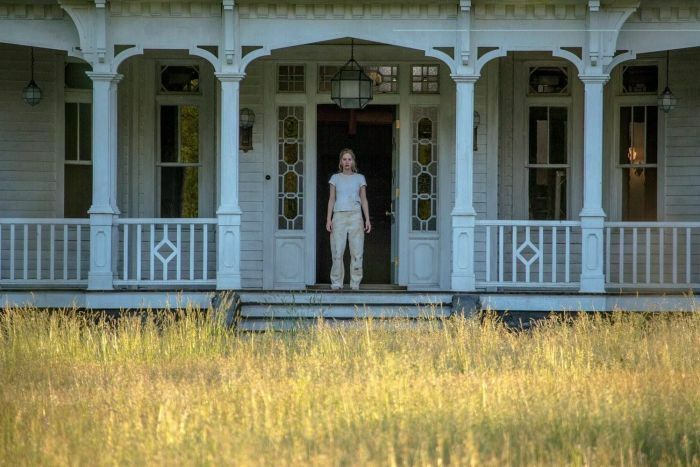 Yes, you can argue that her character doesn’t have much depth, but the actress wrings every drop of emotion she can from the role, and it’s a testament to her performance that we care greatly about the titular Mother (yes, that is indeed her name). Such is the brutality and terror inflicted upon her that at times, the film becomes incredibly distressing to watch. A subdued Javier Bardem plays the Mother’s husband Him, and while he does well in communicating the character’s narcissism, he’s at his best when he turns up the intensity and adopts an intimidating demeanor. 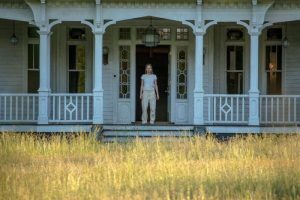 As two of the uninvited guests, Ed Harris and Michelle Pfeiffer aren’t in the film as much as one would expect, though Pfeiffer makes the most of her screen time by unabashedly chewing the scenery with tremendous gusto and making Mother uncomfortable. Given its limited environment, the film is quite the technical accomplishment. 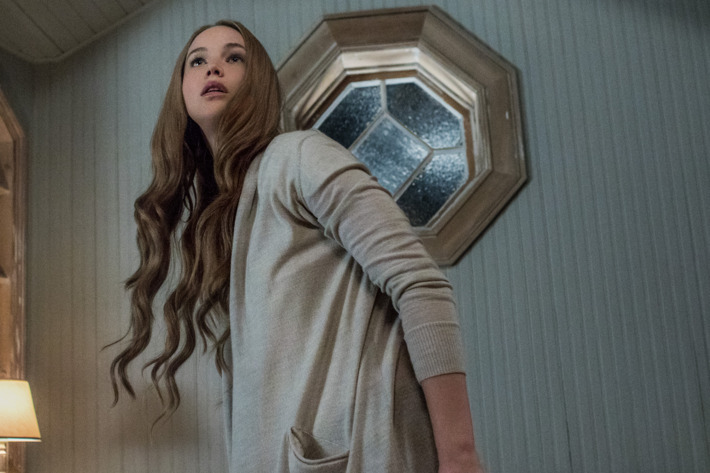 The camera remains inside the house for almost the entire runtime, and cinematographer Matthew Libatique mostly uses it to follow Mother around or assume her point of view. This not only reinforces our empathy for her, but also highlights how suffocating it can be to spend that much time in the house, if the near-suffocating extreme close-up shots of character’s faces are any indication. The sound design and mixing here is extraordinary, as even the most innocent of sounds are drawn out and warped, building up to a sinister cacophony. Really, the only time when the technical craft stutters is when the rough and shoddy CGI is employed for visual effects. The sheer insanity showcased in mother! is nothing short of perplexing. That Aronofsky simultaneously unfurls thematically rich ideas and allows the material to get this bonkers can only be described as bold filmmaking. It may not make for a polished and refined film, but it sure makes for a fascinating one.